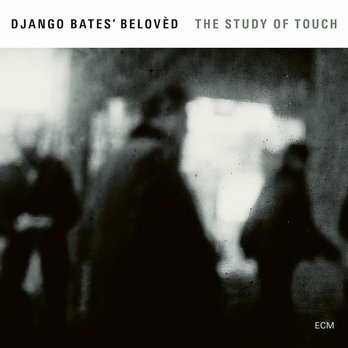 The Study of Touch continues Bates’ exploration of the piano trio, which is somewhat ironic given his belief that there were enough piano trios in the world. He tells the story of, when, he had started teaching at Copenhagen’s Rhythmic Music Academy, in 2005, “I was walking along its corridors when I heard a drummer and a bass player playing in an ensemble in one of the practise rooms, and thought ‘If I ever changed my mind about piano trios I’d definitely want to use those two guys’”. The trio released their first recording, Belovèd Birdin 2010 and this was followed in 2012 by Confirmation (both released on Bates’ own Lost Marble label). The trio’s first CD, Belovèd Bird, was commissioned by Copenhagen Jazz House for arrangements of Charlie Parker tunes. On The Study of Touch, they include a short, lesser-known, Parker tune. “On this album there is one Parker tune “Passport" as a reminder of Belovèd’s first influence. The title felt pertinent in the light of the disaster of Brexit. Charlie Parker was my first childhood hero. There is a childish joy in his improvising and in his saxophone sound that makes me smile. For me, he’s the very essence of jazz and his work has informed my ideas about what brings a melody to life and what makes it personal.”, explains Bates. The title track has been performed live several times (after its premiere at the The Proms) and Bates wanted to document the piece, “And it also seemed a good name for an album" he adds, "so we started to build pieces around it to tell a story. And they could be old pieces or newer pieces, it didn’t really matter to me, because our music is always changing and evolving. By memorising the music and allowing it to constantly develop, we take away the unnecessary division between what is written and what is improvised. At a Belovèd gig you hear big slices of wide-ranging music bound together by a constant flow of interplay between the three musicians. I play a lot more in Belovèd than I do in my other projects, which often have a huge density of sound. Nothing is lost, nothing is hidden in the trio. Everything I play has a space to have a meaning.” The CD includes reworkings of tunes from the Confirmation CD, but these have been changed to such an extent that each has the feel of a new piece. For more information visit ECM Records and Django's website.